Proud glee club member! A few days before the Chicago Cubs clinched the World Series in Game 7, the team let loose and poked fun at their teammate Kyle Schwarber for his days in his high school choir. His teammates decided to re-create the “Schwarber Shuffle” in a video on the Cubs’ official Twitter account from October 27. 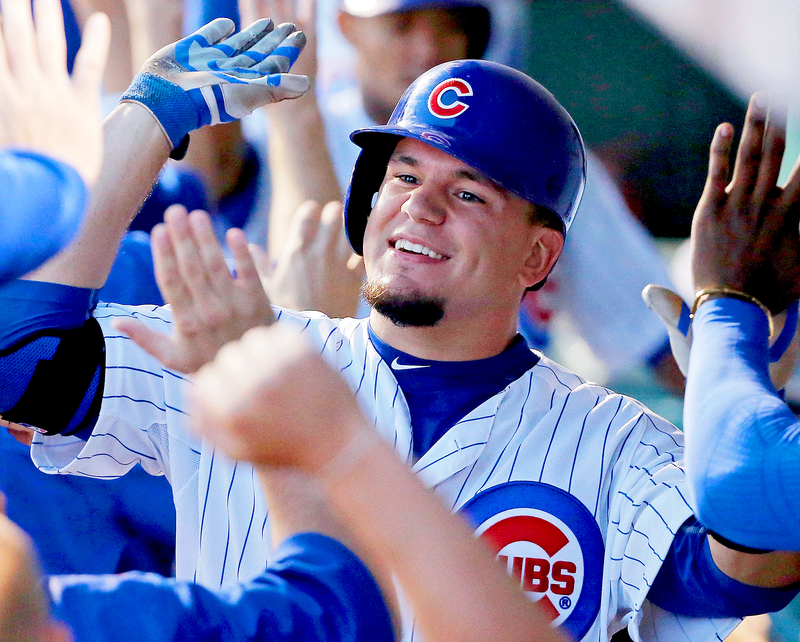 “We can’t all be like @kschwarb12,” the caption read. Anthony Rizzo, Kris Bryant, David Ross, Justin Grimm and more Cubs players dressed up in purple shirts and pink ties over their team uniforms and attempted the infamous dance moves. At the end of the clip, Schwarber came in and showed them how it’s done by perfectly recalling the motions. While his knee could handle a few dance moves, it wasn’t well enough for him to play in Games 3 through 5 of the World Series. He missed almost the entire regular season and some of the playoffs due to knee surgery. However, he returned in Games 6 and 7 to help the baseball club defeat the Cleveland Indians for the Cubs’ first championship title in 108 years. 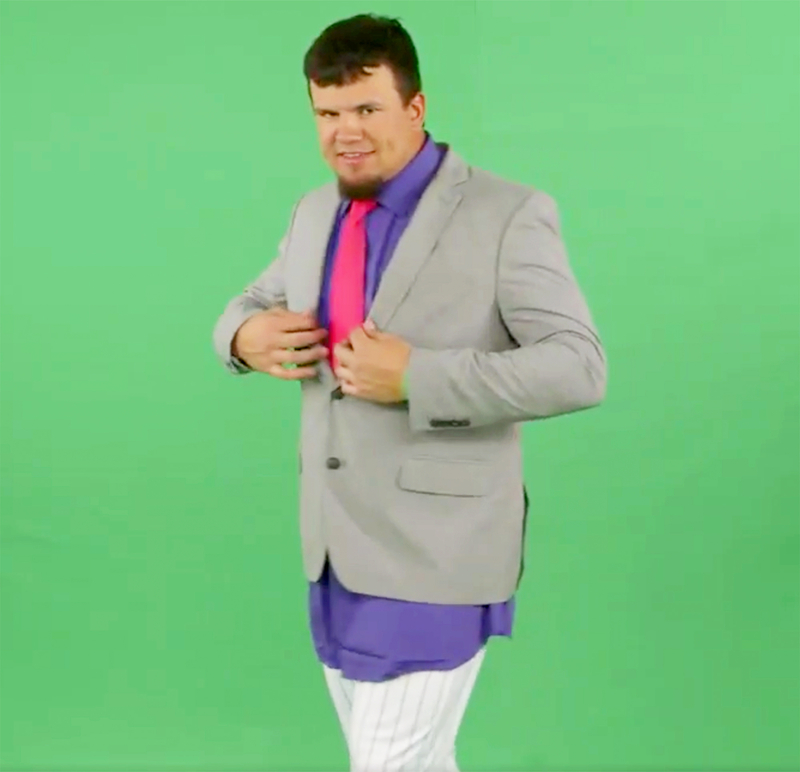 Watch the Cubs hilariously mock Schwarber and celebrate their victory in the videos above!